Update: Stay Tuned for an update to Air rouge in-flight WiFi. While on route to Wireless Field Day 7 #WFD7 in San Jose, I had the pleasure of boarding Air Canada’s new Air Canada rouge planes. This hot new service has a cool new look, complete with a classic tail logo, an updated interior and lets not leave out the cool flight attendants uniforms. Once you enter the plane you are greeted by friendly upbeat staff who makes sure you are boarded safely and efficiently. 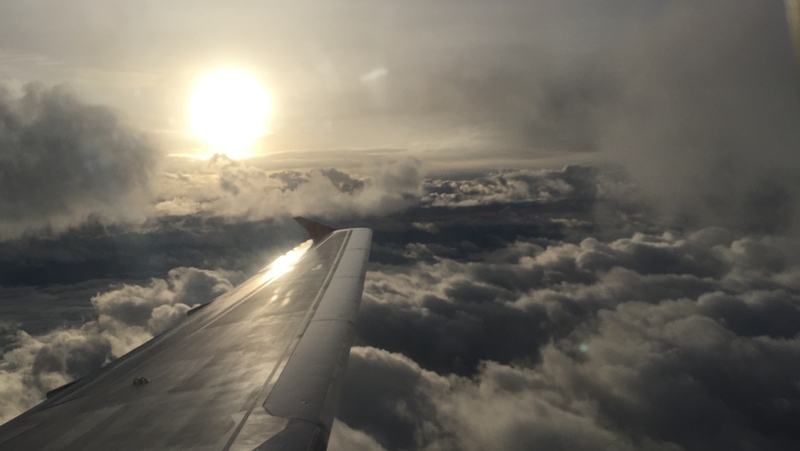 One thing you will notice with this aircrew is they are very patient, something you don’t find too often on board aircrafts today. In the past, and still, today screens on headrests are the norm for many airlines. But today they are becoming very old school due to power, weight issues, and maintenance. What if I don’t have a notebook, iPad, Smartphone etc.? Never fear Air Canada rouge has got you covered with Red Apple iPad Mini’s on standby to rent for a nominal fee. How does it work? Well, it works in two ways. You can connect via the Air Canada App for iOS / Android. The other is via any browser on your notebook. Once connected to the Air Canada rouge WiFi you will be directed straight to the player. The image is super clear and never slows down or pauses. 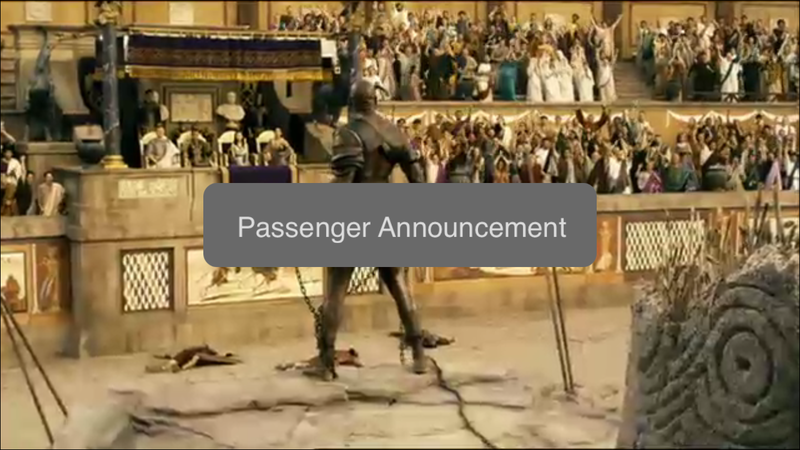 What about those in-flight Announcements we all love? Well, here is a what it looks like. You don’t miss a moment of your favourite movie. Now what really got my attention was the ease of connecting and wait for it— 5GHz 802.11n. Yes, folks, that’s right 5GHz on a plane. I know fellow WiFi Pioneer Devin Akin of Divergent Dynamics would be salivating right about now. Why you ask? With my WiFi tools at hand, I saw more clients connected to 5GHz, and that tells me that more devices are shifting away from the traditional 2.4GHz. 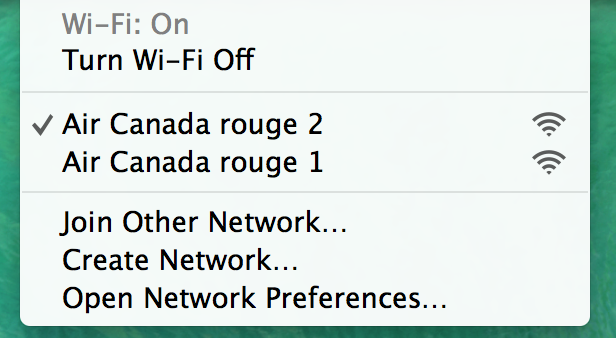 One suggestion I would like to make is that Air Canada rouge might want to use a single SSID name instead of the two they currently are broadcasting. For some travelers, this could cause confusion. I have to hand it to the folks at Air Canada rouge they did a very nice job delivering in-flight entertainment via WiFi. I was super impressed. 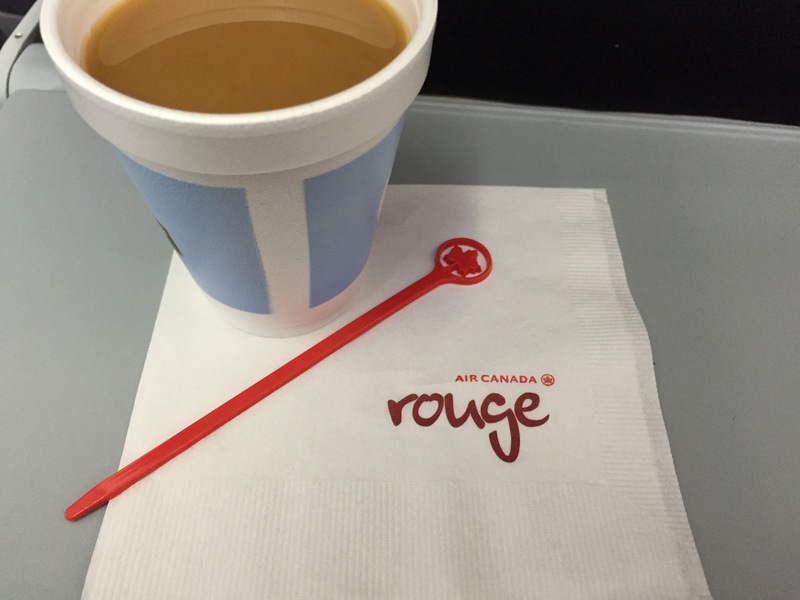 So the next time you are on an Air Canada rouge flight, sit back have a coffee. Now if we could only get them to serve fresh movie popcorn. Disclaimer: I created this blog of my own free will.